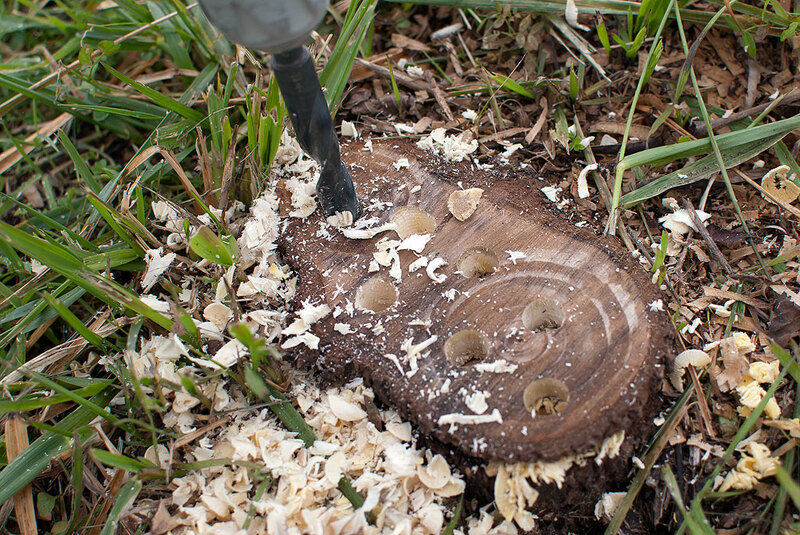 Monday’s first order of business was to drill holes in the stumps left when I thinned the walnut grove, and fill them with stump-decomposer. As my readers know, I believe that hard work is a path to health and energy. I wrote about this once before, but I was thinking about is recently as I accomplished some important objectives last week in anticipation of the arrival of cold weather. I organized these cinder blocks, paving stones and bricks so I can get to any of them without having to move the others. Weeks ago a friend of Abby’s moved to a new location, one where she didn’t need much of her yard stuff, and gave a lot of it to us. It included a number of cinder blocks and paving stones, as well as some lumber, patio furniture and accessories, and fencing. 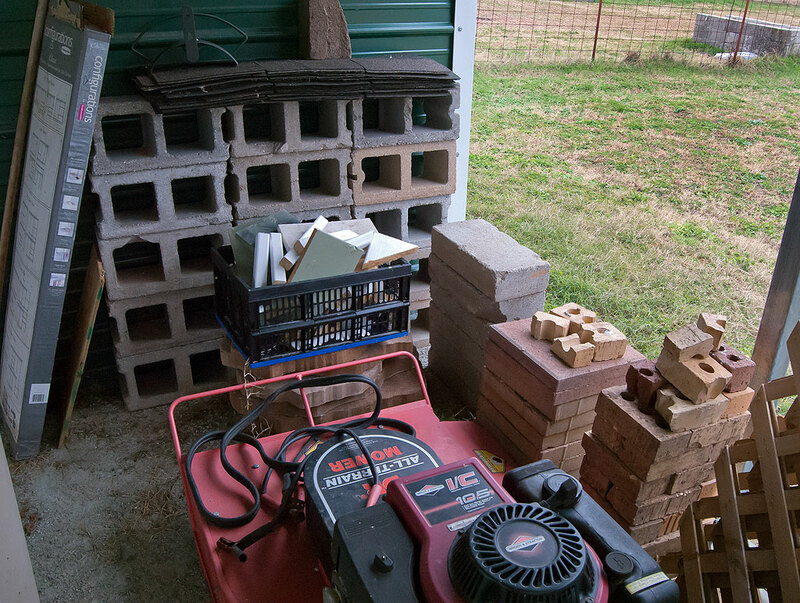 The move happened sooner that we expected, so in only a day we brought all these materials home in the bed Abby’s pickup and unloaded in a haphazard manner in the carport of the shed. 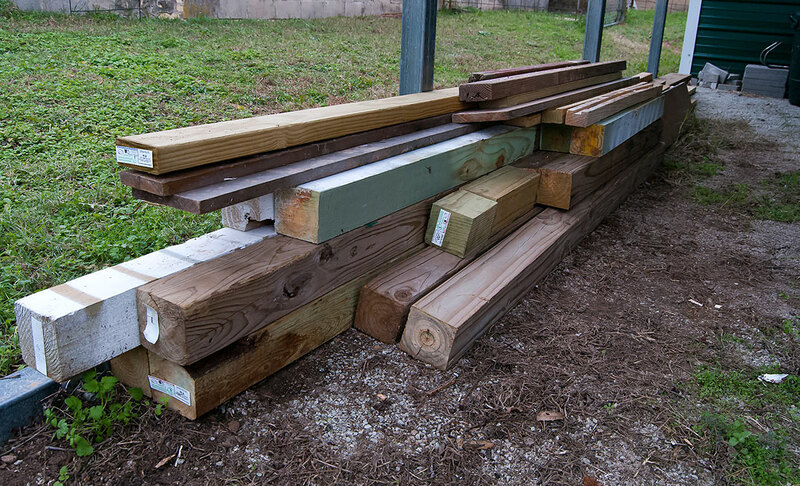 In addition to that, the leftover lumber and materials from construction of our front and back decks had been piled there as well. A mess had taken shape. My lumber leftovers sit stacked neatly and, more importantly, so I can see all of it when trying to find something I need. I spent all of Monday last week moving, painting, pulling nails, organizing, and taking one wheelbarrow load after another of items to the burn pile to be burned. By the end of the day, my energy level was through the roof, and wanted to do more, but it got dark. 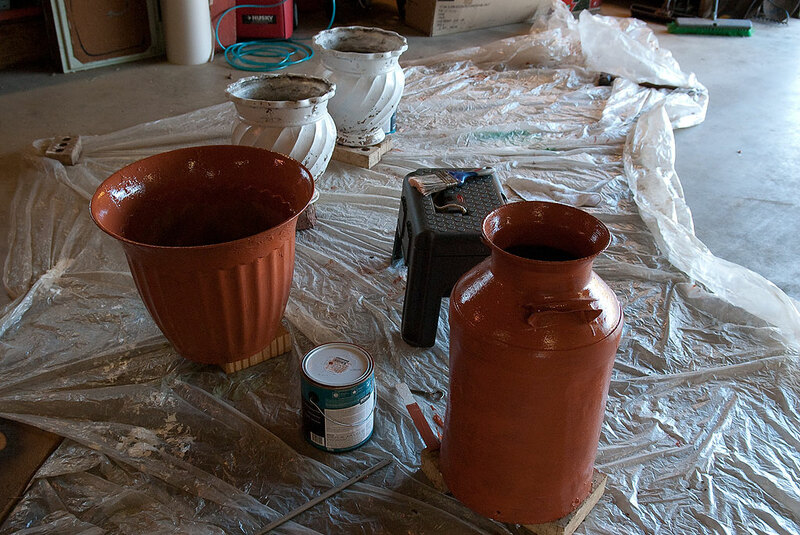 Another item I addressed before the cold weather moved in was painting these planters, which are now in the front flower bed, ready for winter. Yep. Reminds me of how much work I have to do around the house before cold weather moves in here. I too subscribe to the theory of hard work + physical effort = health and increased energy but am often pulled in too many different directions at once to focus on one thing at a time. Maybe next year things will calm down. Of course, we’ll also be getting Trump.